If you experience a dental emergency, it is important to contact a Lombard, IL emergency dentist right away. This could mean the difference between saving or losing a tooth. The emergency dentist will determine if you need to see them right away or if it can wait until you schedule an appointment. Emergency dentists can help when you are experiencing excruciating tooth aches, you have chipped, broken or knocked out a tooth, a filling has fallen out, and many other emergency dental circumstances. If you are not able to get in to see the emergency dentist right away, they can provide education on whayt you can do to save your tooth until you can get in to see them. Many dental offices are not open 24 hours a day; they have set hours for appointments. However, there are 24 hour dentists available and we can help you find them. A 24 hour dentists is just as it sounds; a dental provider that is available 24 hours a day, 7 days a week, some even on holidays. While not all 24 hour dentists are physically in the office every minute of the day, many have an emergency line that you can call and if they determine you need to come in right away, they will meet you in their office. In many cases, your regular dental office may offer 24 hour dentist services for emergency situations. 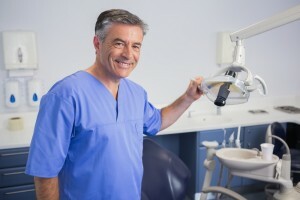 Description Call our Lombard referral service Emergency Dentists USA phone number and get connected to an emergency dentist in Lombard, IL in seconds! We provide a service that will get you to the dentist that fastest and easiest way possible, you can call us 24 hours a day, 7 days a week and its 100% free! Smile More Dental is unique in that they are open 7 days a week. This group of caring dental providers are here to help you obtain and retain your most beautiful smile. They offer a full range of dental services for all ages, from childhood to adulthood. This is an excellent dental group for the entire family to build a lifelong bond with. A member of the American Dental Association, Illinois Dental Association, and several other organizations, this dentist has been providing experienced dental services for more than twenty years. this group can provide all types of dental services including general dental services, endodontics, periodontics, sedation, cosmetic dentistry, and orthodontics all in the same group. If you are looking for an all-in-one dental group with extended hours, this is the place for you. This dental group offers extended hours and emergency available to accommodate all of their patients. They accept most insurance, file dental claims for you, and offer financing options for services you can’t afford in full. Services they offer include veneers, Invisalign, whitening, implants and many others. In order for your visit to go smoothly and to avoid paying more than you should, it is important to be prepared for your emergency dental visit. Bring a valid form of photo identification with you to your appoint, as well as your current dental insurance card and paperwork. This will provider your emergency dental care provider with all the information they need to submit your emergency dental claims. It is best to bring a driver with you because some procedures, such as emergency tooth extraction, may require dental anesthesia. Lastly, it is important to bring enough money with you to pay the emergency dental provider for any services you receive that may not be covered under your dental insurance plan. When you are experiencing a dental emergency, it can be difficult to think straight, especially if you are experiencing dental pain or are panicking. You can use your local dental society website for Lombard to help you in your choice of Lombard, IL walk in dentists. An easier way to choose an urgent care dentist is to do this ahead of time and have one or two in mind before a dental emergency occurs. This way, you can thoroughly research the walk in dentist, visit their office, speak to family, friends and other patients, and perform complete professional background checks. You may even choose to schedule an appointment with the urgent care dentist to ensure they are the correct match for you.